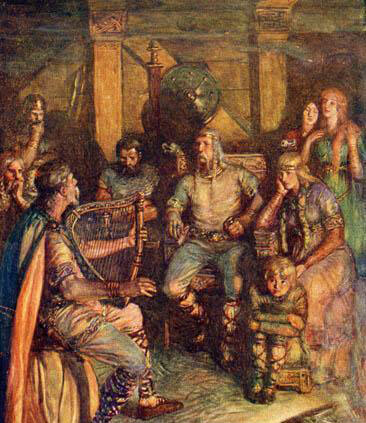 is a poem comparing the vocation of singer and story-teller to that of the ancient bards who served at the halls of warrior kings/queens. It is also a prayer, asking for the gifts needs to weave yarns beautifully and truthfully. "My speech is like honey when I tell the tale......"